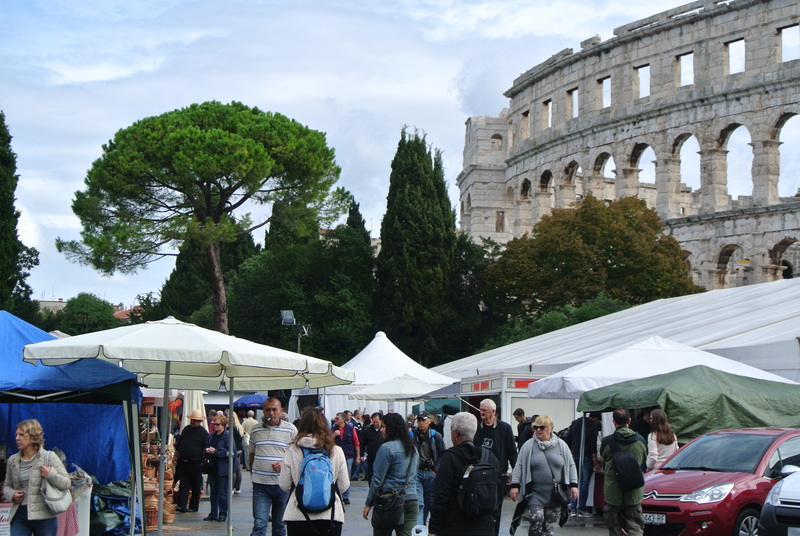 Early Sunday morning after exploring the beautiful Roman Amphitheatre, we stumbled upon a market located just outside the entrance to the amphitheatre and you know me, I had to check it out. Well, it was a total score! 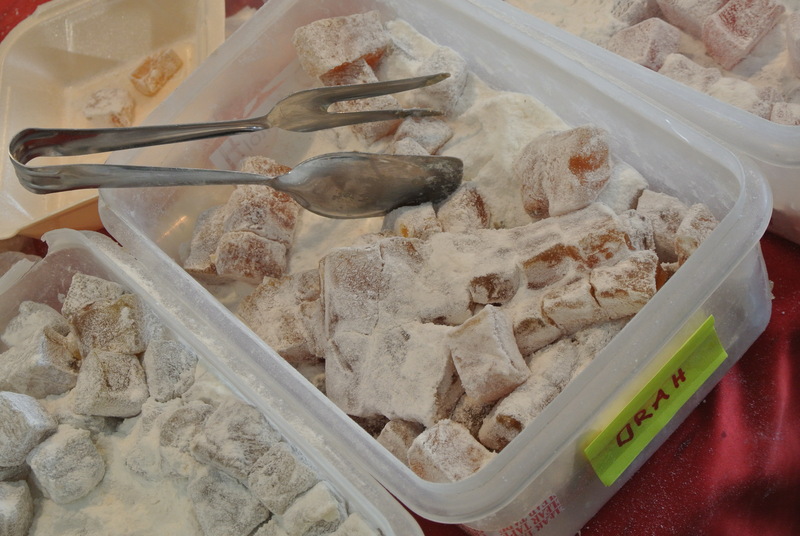 We discovered locally made turkish delight, soft and delicious in flavours like rose water, pistachio and chestnut. And my favourite, homemade almond nougat! 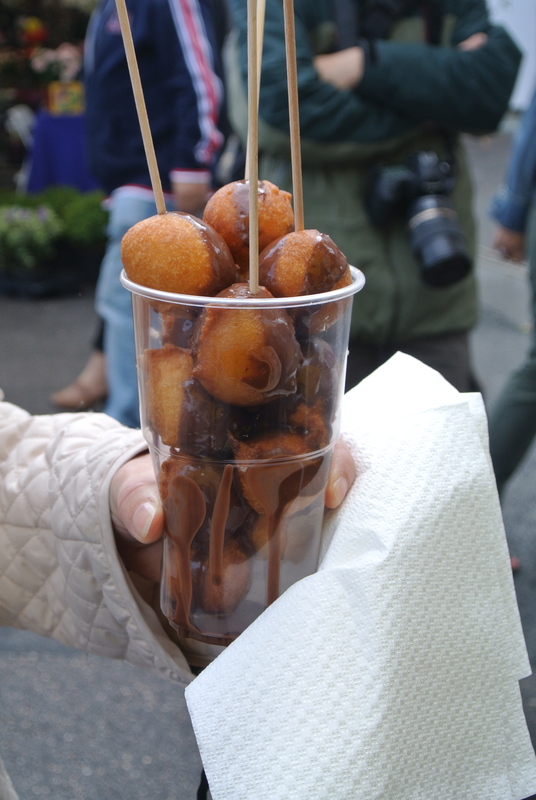 We found a booth with a constant stream of customers all waiting for freshly made fritule, Croatian pastry that looks very much like Tim Horton’s timbits (if you’re Canadian, you know what these are :)) except these are light, fluffy and not coated in sugar but a dollop of milk chocolate sauce. Walking through the market you get a real sense that Croatians really love their pork and cheese. 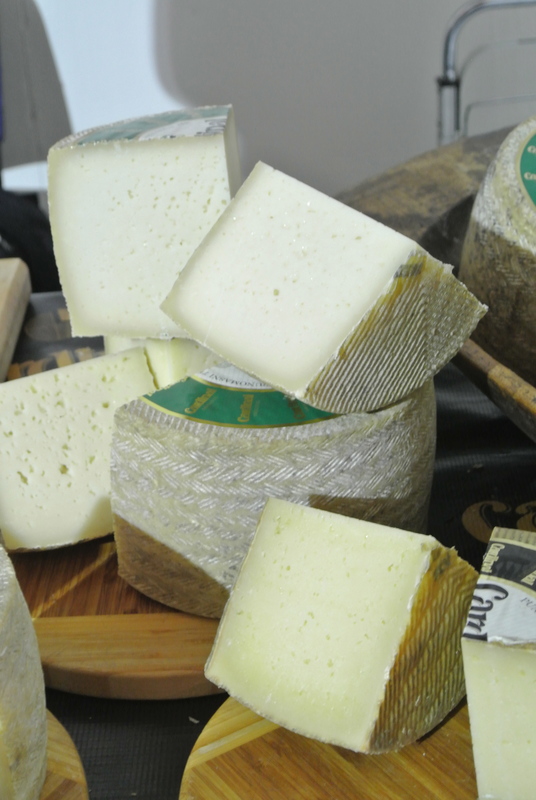 There were cured meats, lots of large mortadella sausages, tubs of chicharron and wheels of Croatian sir (cheese) everywhere. 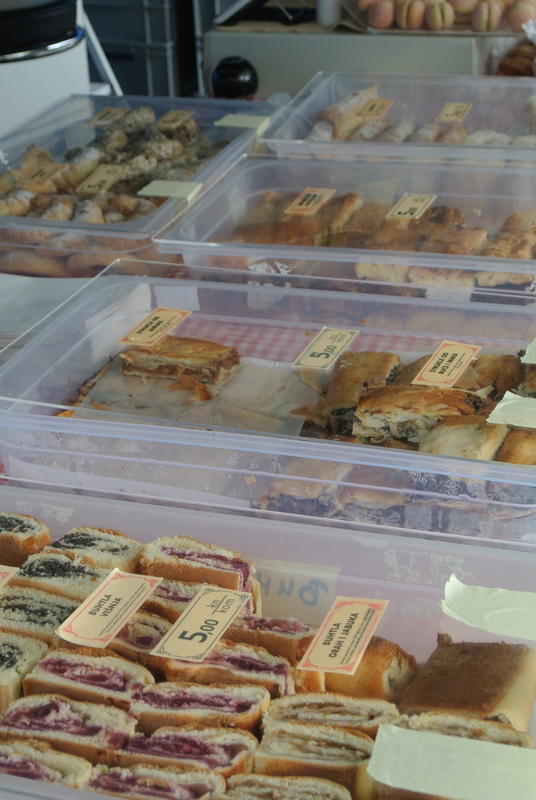 We definitely made some purchases and sampled plenty, a perfect way to end our brief visit to Pula. Local Sunday market just outside the Amphitheatre in Pula. 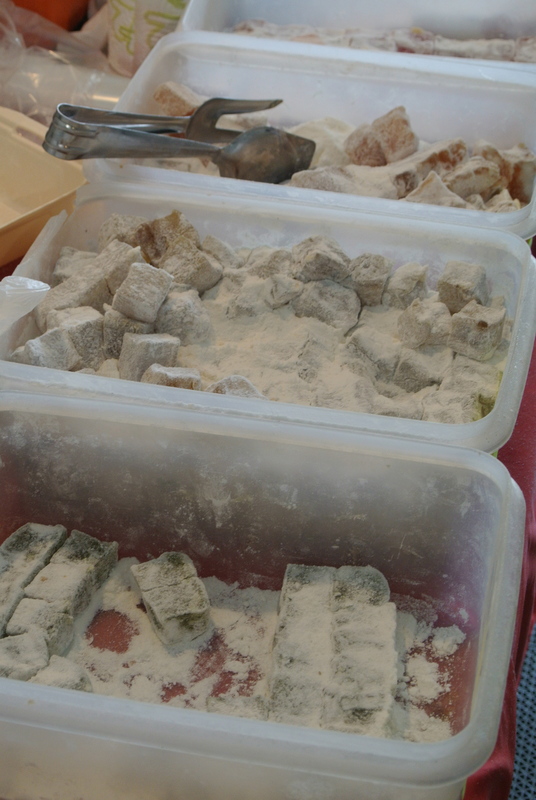 One of the stalls at the market selling homemade Turkish delight. My favourite flavour of Turkish delight – Rose! 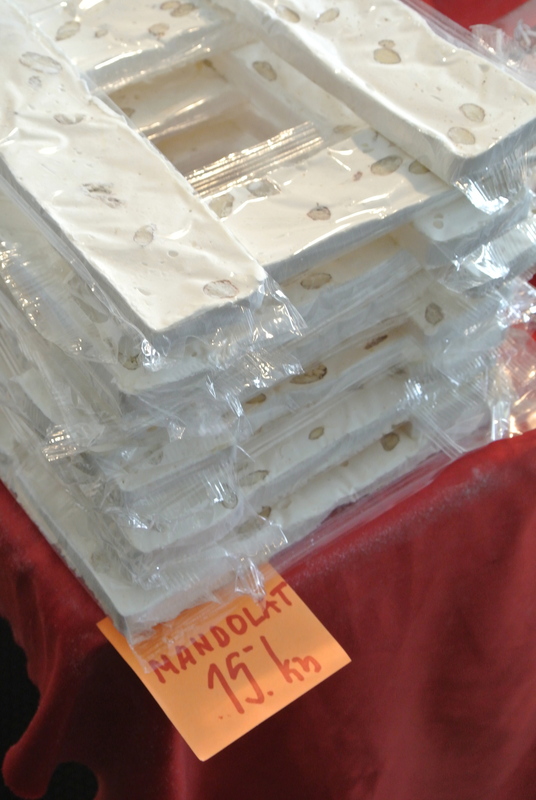 Homemade nougat for $3 a bar – such a great deal! 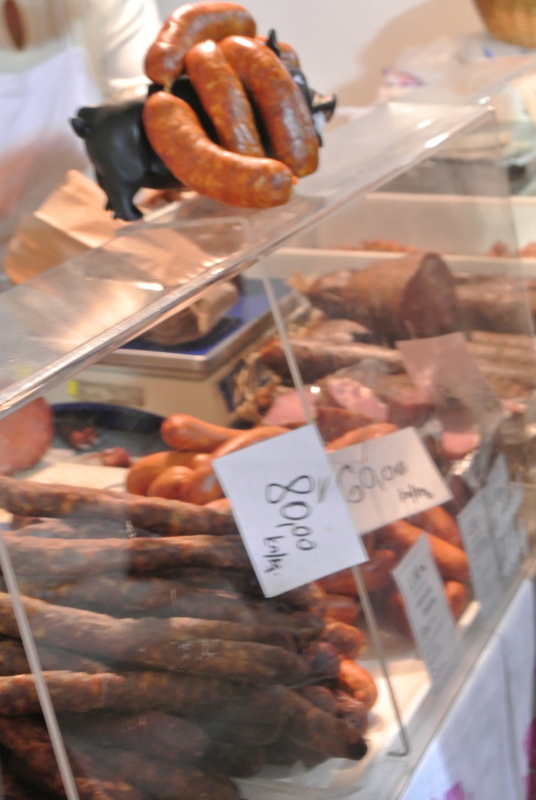 Croatians being big on pork, there was a ton of deli vendors. 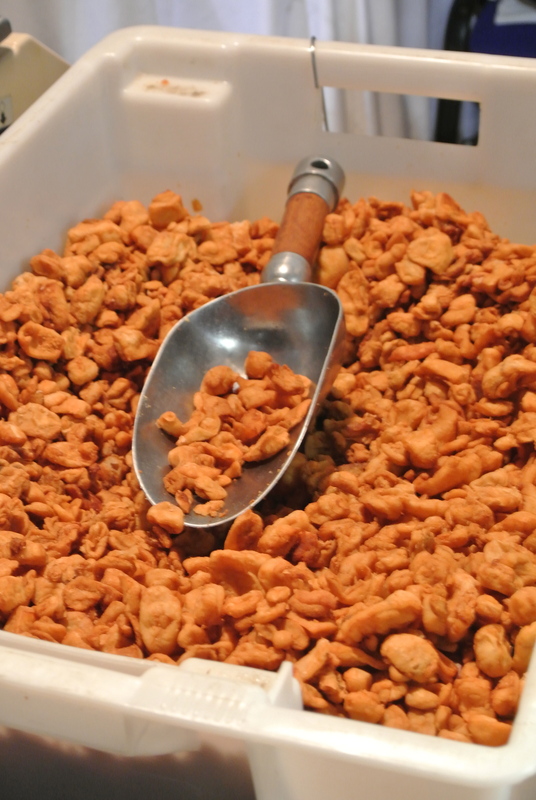 A huge tub of chicharron or pork rinds. 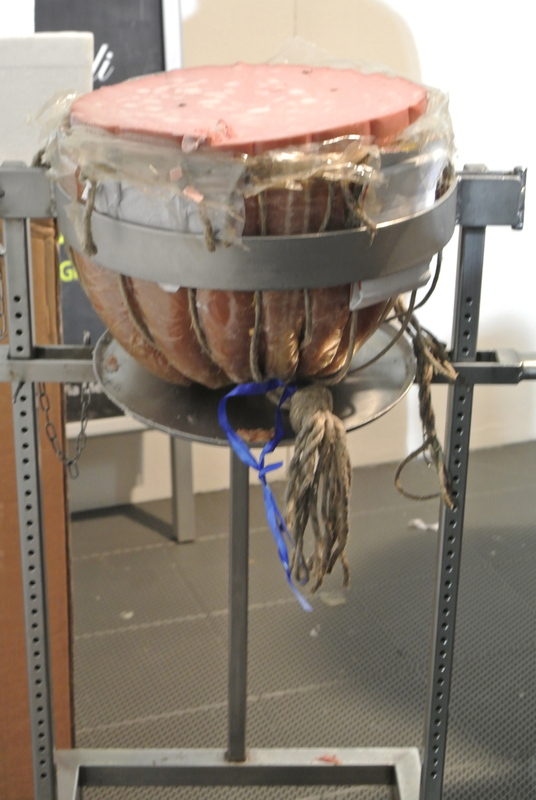 I’ve never seen mortadella this big – the picture doesn’t do it justice. 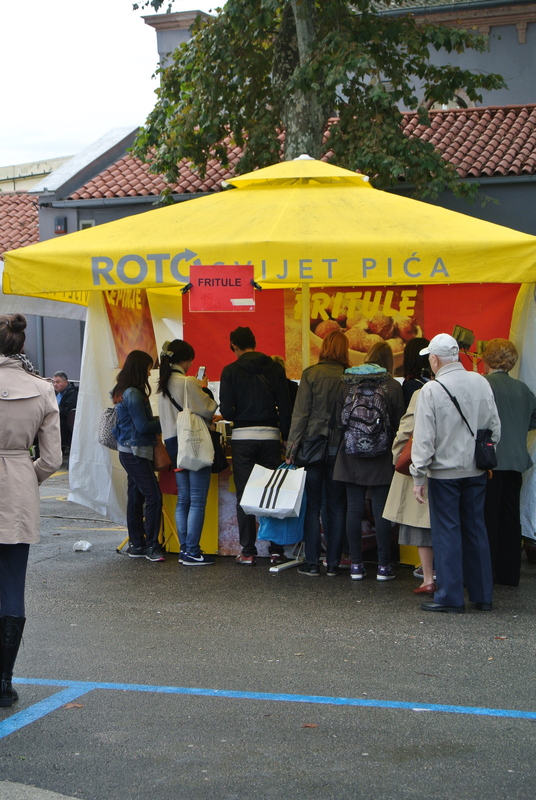 Fritule stand – you know its good when there’s a line up. 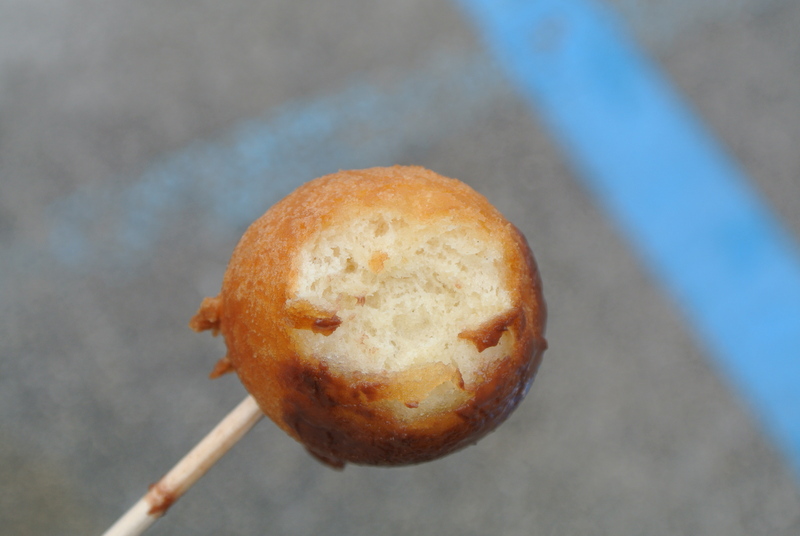 Hot and fresh right out of the deep fryer, fritule drizzled with melted milk chocolate. Perfectly fried fritule, surprisingly light and fluffy.